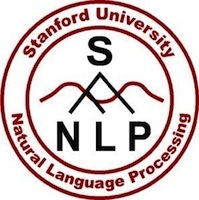 Back in the dark ages of data science, each group or individual working in Natural Language Processing (NLP) generally maintained an assortment of homebrew utility programs designed to handle many of the common tasks involved with NLP. Despite everyone's best intentions, most of this code was lousy, brittle, and poorly documented -- not a good foundation upon which to build your masterpiece. Fortunately, over the past decade, mainstream open source software libraries like the Natural Language Toolkit for Python (NLTK) have emerged to offer a collection of high-quality reusable NLP functionality. These libraries allow researchers and developers to spend more time focusing on the application logic of the task at hand, and less on debugging an abandoned method for sentence segmentation or reimplementing noun phrase chunking. 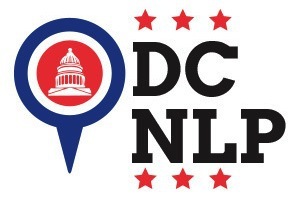 This presentation will cover a handful of the NLP building blocks provided by NLTK (and a few additional libraries), including extracting text from HTML, stemming & lemmatization, frequency analysis, and named entity recognition. Several of these components will then be assembled to build a very basic document summarization program. Obviously, you'll need Python installed on your system to run the code examples used in this presentation. We enthusiatically recommend using Anaconda, a Python distribution provided by Continuum Analytics. Anaconda is free to use, it includes nearly 200 of the most commonly used Python packages for data analysis (including NLTK), and it works on Mac, Linux, and yes, even Windows. Please note that the readability package is not distributed with Anaconda, so you'll need to download & install it separately using something like easy_install readability-lxml or pip install readability-lxml. If you don't use Anaconda, you'll also need to download & install the other packages separately using similar methods. Refer to the homepage of each package for instructions. You'll want to run nltk.download() one time to get all of the NLTK packages, corpora, etc. (see below). Select the "all" option. Depending on your network speed, this could take a while, but you'll only need to do it once. The first time you run anything using NLTK, you'll want to go ahead and download the additional resources that aren't distributed directly with the NLTK package. Upon running the nltk.download() command below, the the NLTK Downloader window will pop-up. In the Collections tab, select "all" and click on Download. As mentioned earlier, this may take several minutes depending on your network connection speed, but you'll only ever need to run it a single time. Now the fun begins. We'll start with a pretty basic and commonly-faced task: extracting text content from an HTML page. Python's urllib package gives us the tools we need to fetch a web page from a given URL, but we see that the output is full of HTML markup that we don't want to deal with. Fortunately, NTLK provides a method called clean_html() to get the raw text out of an HTML-formatted string. It's still not perfect, though, since the output will contain page navigation and all kinds of other junk that we don't want, especially if our goal is to focus on the body content from a news article, for example. 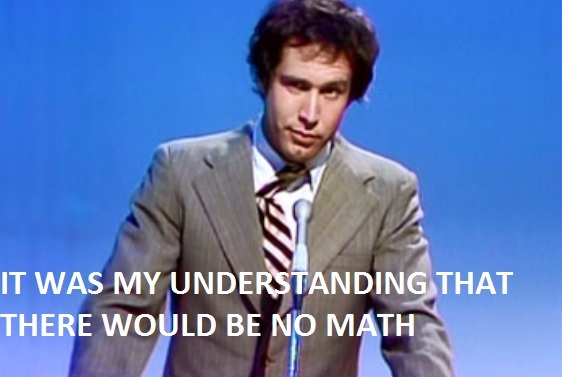 Here's a little secret: much of NLP (and data science, for that matter) boils down to counting things. If you've got a bunch of data that needs analyzin' but you don't know where to start, counting things is usually a good place to begin. Sure, you'll need to figure out exactly what you want to count, how to count it, and what to do with the counts, but if you're lost and don't know what to do, just start counting. Perhaps we'd like to begin (as is often the case in NLP) by examining the words that appear in our document. To do that, we'll first need to tokenize the text string into discrete words. Since we're working with English, this isn't so bad, but if we were working with a non-whitespace-delimited language like Chinese, Japanese, or Korean, it would be much more difficult. In the code snippet below, we're using two of NLTK's tokenize methods to first chop up the article text into sentences, and then each sentence into individual words. (Technically, we didn't need to use sent_tokenize(), but if we only used word_tokenize() alone, we'd see a bunch of extraneous sentence-final punctuation in our output.) By printing each token alphabetically, along with a count of the number of times it appeared in the text, we can see the results of the tokenization. Notice that the output contains some punctuation & numbers, hasn't been loweredcased, and counts BuzzFeed and BuzzFeed's separately. We'll tackle some of those issues next. Stemming is the process of reducing a word to its base/stem/root form. Most stemmers are pretty basic and just chop off standard affixes indicating things like tense (e.g., "-ed") and possessive forms (e.g., "-'s"). Here, we'll use the Snowball stemmer for English, which comes with NLTK. Once our tokens are stemmed, we can rest easy knowing that BuzzFeed and BuzzFeed's are now being counted together as... buzzfe? Don't worry: although this may look weird, it's pretty standard behavior for stemmers and won't affect our analysis (much). We also (probably) won't show the stemmed words to users -- we'll normally just use them for internal analysis or indexing purposes. Although the stemmer very helpfully chopped off pesky affixes (and made everything lowercase to boot), there are some word forms that give stemmers indigestion, especially irregular words. While the process of stemming typically involves rule-based methods of stripping affixes (making them small & fast), lemmatization involves dictionary-based methods to derive the canonical forms (i.e., lemmas) of words. For example, run, runs, ran, and running all correspond to the lemma run. However, lemmatizers are generally big, slow, and brittle due to the nature of the dictionary-based methods, so you'll only want to use them when necessary. The example below compares the output of the Snowball stemmer with the WordNet lemmatizer (also distributed with NLTK). Notice that the lemmatizer correctly converts women into woman, while the stemmer turns lying into lie. Additionally, both replace eyes with eye, but neither of them properly transforms told into tell. temp_sent = "Several women told me I have lying eyes." Thus far, we've been working with lists of tokens that we're manually sorting, uniquifying, and counting -- all of which can get to be a bit cumbersome. Fortunately, NLTK provides a data structure called FreqDist that makes it more convenient to work with these kinds of frequency distributions. The code snippet below builds a FreqDist from our list of stemmed tokens, and then displays the top 25 tokens appearing most frequently in the text of our article. Wasn't that easy? Notice in the output above that most of the top 25 tokens are worthless. With the exception of things like facebook, content, user, and perhaps emot (emotion? ), the rest are basically devoid of meaningful information. They don't really tells us anything about the article since these tokens will appear is just about any English document. What we need to do is filter out these stop words in order to focus on just the important material. Now we can use this list to filter-out stop words from our list of stemmed tokens before we create the frequency distribution. You'll notice in the output below that we still have some things like punctuation that we'd probably like to remove, but we're much closer to having a list of the most "important" words in our article. Another task we might want to do to help identify what's "important" in a text document is named entity recogniton (NER). Also called entity extraction, this process involves automatically extracting the names of persons, places, organizations, and potentially other entity types out of unstructured text. 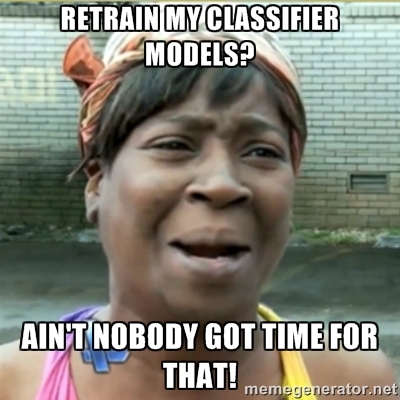 Building an NER classifier requires lots of annotated training data and some fancy machine learning algorithms, but fortunately, NLTK comes with a pre-built/pre-trained NER classifier ready to extract entities right out of the box. This classifier has been trained to recognize PERSON, ORGANIZATION, and GPE (geo-political entity) entity types. We then apply this method to a sample sentence and parse the clunky output format provided by nltk.ne_chunk() (it comes as a nltk.tree.Tree) to display the entities we've extracted. Don't let these nice results fool you -- NER output isn't always this satisfying. Try some other sample text and see what you get. If you're like me, you've grown accustomed over the years to working with the Stanford NER library for Java, and you're suspicious of NLTK's built-in NER classifier (especially because it has chunk in the name). Thankfully, recent versions of NLTK contain an special NERTagger interface that enables us to make calls to Stanford NER from our Python programs, even though Stanford NER is a Java library (the horror!). Not surprisingly, the Python NERTagger API is slightly less verbose than the native Java API for Stanford NER. To run this example, you'll need to follow the instructions for installing the optional Java libraries, as outlined in the Initial Setup section above. You'll also want to pay close attention to the comment that says # change the paths below to point to wherever you unzipped the Stanford NER download file. Now let's try to take some of what we've learned and build something potentially useful in real life: a program that will automatically summarize documents. For this, we'll switch gears slightly, putting aside the web article we've been working on until now and instead using a corpus of documents distributed with NLTK. assign a score to each word in a document corresponding to its level of "importance"
extract the top N highest scoring sentences and return them as our "summary"
Sounds easy enough, right? But before we can say "voila!," we'll need to figure out how to calculate an "importance" score for words. As we saw above with stop words, etc. simply counting the number of times a word appears in a document will not necessarily tell you which words are most important. Consider a document that contains the word baseball 8 times. You might think, "wow, baseball isn't a stop word, and it appeared rather frequently here, so it's probably important." And you might be right. But what if that document is actually an article posted on a baseball blog? Won't the word baseball appear frequently in nearly every post on that blog? In this particular case, if you were generating a summary of this document, would the word baseball be a good indicator of importance, or would you maybe look for other words that help distinguish or differentiate this blog post from the rest? Context is essential. What really matters here isn't the raw frequency of the number of times each word appeared in a document, but rather the relative frequency comparing the number of times a word appeared in this document against the number of times it appeared across the rest of the collection of documents. "Important" words will be the ones that are generally rare across the collection, but which appear with an unusually high frequency in a given document. We'll calculate this relative frequency using a statistical metric called term frequency - inverse document frequency (TF-IDF). We could implement TF-IDF ourselves using NLTK, but rather than bore you with the math, we'll take a shortcut and use the TF-IDF implementation provided by the scikit-learn machine learning library for Python. We'll use scikit-learn's TfidfVectorizer class to construct a term-document matrix containing the TF-IDF score for each word in each document in the Reuters Corpus. In essence, the rows of this sparse matrix correspond to documents in the corpus, the columns represent each word in the vocabulary of the corpus, and each cell contains the TF-IDF value for a given word in a given document. Inspired by a computer science lab exercise from Duke University, the code sample below iterates through the Reuters Corpus to build a dictionary of stemmed tokens for each article, then uses the TfidfVectorizer and scikit-learn's own built-in stop words list to generate the term-document matrix containing TF-IDF scores. That's all we'll need to produce a summary for any document in the corpus. In the example code below, we start by randomly selecting an article from the Reuters Corpus. We iterate through the article, calculating a score for each sentence by summing the TF-IDF values for each word appearing in the sentence. We normalize the sentence scores by dividing by the number of tokens in the sentence (to avoid bias in favor of longer sentences). Then we sort the sentences by their scores, and return the highest-scoring sentences as our summary. The number of sentences returned corresponds to roughly 20% of the overall length of the article. Since some of the articles in the Reuters Corpus are rather small (i.e., a single sentence in length) or contain just raw financial data, some of the summaries won't make sense. If you run this code a few times, however, you'll eventually see a randomly-selected article that provides a decent demonstration of this simplistic method of identifying the "most important" sentence from a document. That was fairly easy, but how could we improve the quality of the generated summary? Perhaps we could boost the importance of words found in the title or any entities we're able to extract from the text. After initially selecting the highest-scoring sentence, we might discount the TF-IDF scores for duplicate words in the remaining sentences in an attempt to reduce repetitiveness. We could also look at cleaning up the sentences used to form the summary by fixing any pronouns missing an antecedent, or even pulling out partial phrases instead of complete sentences. The possibilities are virtually endless.